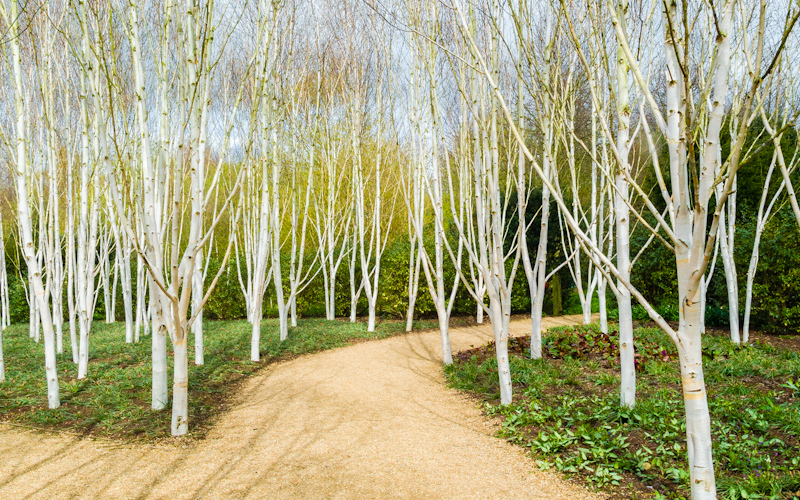 White birch trees, near Lode, Cambridgeshire. There's just something about a tree without foliage that brings out the wonderful graphic shape of the trunk and branches. 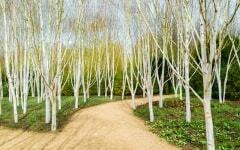 I love the contrast of the white bark with the strong upright lines, and the curving path.